Includes “The Knight” by A.F. Moritz. 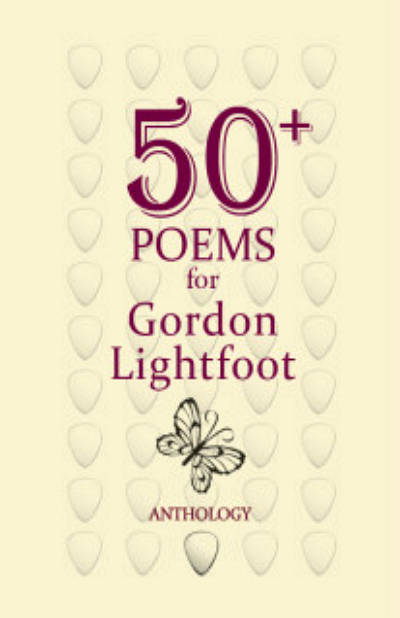 Over 50 poets from across Canada and some from the United States pay tribute in verse to world-renowned folksinger and songwriter Gordon Lightfoot. This handsome new volume from The Old Brewery Bay Press includes poems by Poets Laureate, Griffin Poetry Prize winners, Governor Generals Award winners and numerous others. All speak to the richness and depth of his immense cultural legacy here in Canada and abroad. Publication is possible through the generous support of The Scott Griffin Foundation and the Mariposa Folk Foundation.